Brain Training Programs: Take the Classroom Outside! At LearningRx, we’re all for finding better and more interesting ways for students to learn, and our brain training programs are designed to help people of all ages unlock greater cognitive power. A student works one-on-one with a brain trainer to develop better focus, memory, and processing skills that can help them both inside and outside the classroom. If you’re a teacher, then you’re likely always looking for new and interesting ways to engage with your students. If you’re a history teacher, you might reenact a famous scene from an ancient battle, and if you’re an English teacher, you might have students take turns reading lines from a Shakespearean play. Whatever the case may be, it’s good to shake things up once in awhile. One of the most fun ways to do this is by taking the classroom outside. The students can get out from behind the desk and have a chance to be in the sunshine and to interact with nature. The outdoors provides a natural setting where you can hold a more informal class, no matter if you’re reading or looking for a particular type of insect. Students can sit on the grass or under a tree as you lecture, or they can explore their surroundings, learning more about the world around them. 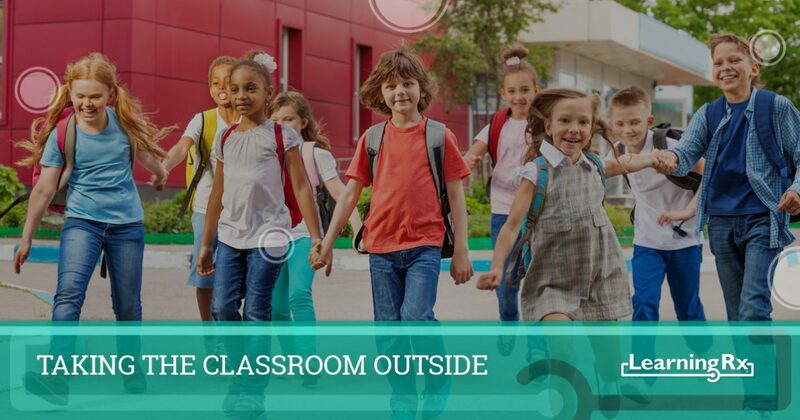 While the classroom provides structure, the outdoors loosens limitations a bit and can help students feel more at ease while learning. If you have students who are hesitant to speak up or participate in class, then changing the setting could give them more confidence to raise their hand or share their thoughts. Taking the classroom outside also gives you the chance to get students more involved in the learning process. You might set up interactive lessons where everyone has to move to certain “stations” or spots on the grass. You might divide the class into groups and have each group represent a different historical city or nation. Changing how the students view the lesson can help them remember more than just facts and figures — they become a part of the lesson and therefore feel more invested in the process. If you’re a teacher, then why not consider taking your classroom outside every so often? It can be a great way to interact with students, get them more involved, and help them feel more excited about school. If you’d like to learn more about our brain training programs and how you can bring a new education franchise to your city, then please contact us right away. We’re always looking for passionate, dedicated people who want to help students unlock more brain power and gain more confidence. To learn more about our franchise model or to simply ask a question, fill out the form below. A member of our team will respond as soon as possible, and you can find out if brain training is the right path for you.